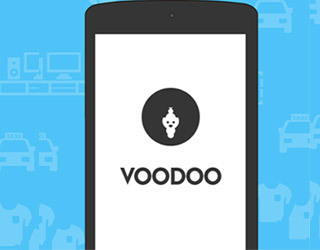 Voodoo Technologies Pvt Ltd, which runs a mobile app that compares prices and deals on e-commerce sites, has raised an undisclosed amount in seed funding from SAIF Partners. The company will use the funds to improve its technology platform, it said in a statement. "Voodoo has taken a unique approach to offer rich experience to mobile users across categories such as shopping, travel, cab, food etc," said Mukul Arora, principal, SAIF Partners. Voodoo compares prices and offers on shopping sites including Flipkart, Snapdeal, Amazon, HomeShop18 and Indiatimes, taxi aggregators Uber, and Ola, food ordering apps Foodpanda and Zomato as well as Bookmyshow and Goibibo, among others. "Voodoo picks the best stuff from all of them and serves our consumers with the finest recommendations. Many more useful features are in the pipeline," said Mohit Mittal, the co-founder and CEO of the company. Voodoo was founded by Mittal and Vijay Reddy, who is also chief technology officer, in June this year. Mittal, an alumnus of IIT Madras, is a serial entrepreneur who previously founded Burrn, a gamified social platform, and Preburn, an offline app store that was later acquired by Freecharge, with Reddy. IIT-Kharagpur alumnus Reddy has previously worked with Flipkart. The deals aggregation space has many established players such as Nearbuy, MyDala, Rocket Internet's CupoNation, CouponDunia, Times Internet-owned CouponDunia and Smile Group's DealsandYou.